As the color of the sun, yellow is a happy color, which is also eye-catching because of its brightness. 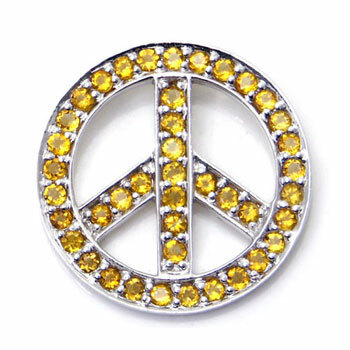 With the yellow citrine stones on the white gold pendant, you will share your peace and happiness to everyone you see. At the same time, you would look fabulous as well. Although the sunny sunshine happens mostly during the summer, you wouldn’t need to wait that long to get your own sunshine.